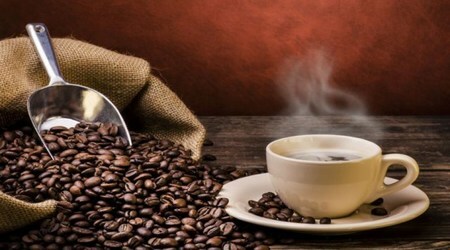 Coffee and caffeine consumption can have certain health benefits. Regularly drinking coffee may improve alertness, short-term recall and reaction time. It may also reduce the risk of Alzheimer s and Parkinson s diseases . Studies show that regular coffee or caffeine consumers have a lower risk of depression and suicide . Daily caffeine consumption may increase your metabolism by up to 11% and fat burning by up to 13% . Protects against heart disease and diabetes: Regularly drinking caffeinated beverages like coffee and tea may reduce the risk of heart disease and type 2 diabetes in some individuals . Despite these benefits, it is worth mentioning that too much caffeine per day may do more harm than good. For this reason, various authorities recommend you limit your intake to 400 mg of caffeine per day. Thats the equivalent of 4–5 cups of coffee .Moreover, its safest to limit the amount you consume per dose to no more than 200 mg . In addition, certain individuals should completely avoid caffeine or limit their intake to smaller amounts.For instance, caffeine may worsen anxiety and insomnia and can cause jitteriness, anxiety and heart palpitations in some people. Too much caffeine may also cause headaches and migraines. Individuals who metabolize caffeine slowly may also have an increased risk of heart attacks from drinking coffee . Moreover, if you are taking the muscle relaxant Zanaflex or the antidepressant Luvox, consider avoiding caffeine. These drugs can increase its effects .Caffeine consumption can also slightly raise blood pressure levels, although this effect may go away if you consume caffeine on a regular basis . Pregnant women are advised to limit their daily intake to no more than 200 mg of caffeine per day, the equivalent of 2–3 cups of coffee . ఈ పొరపాట్లు చేస్తే బరువు తగ్గరు..!